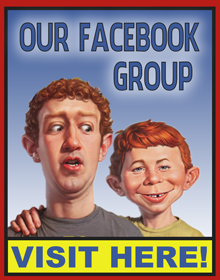 The first edition of the MAD Magazine in Holland started in July, 1964. The slogan of this edition was ‘Wel Gek, Maar Niet Goed’ which means ‘Well Crazy But Good’ in English. The first edition lasted until June, 1994 under different publishers and was one of the most successful foreign MAD editions. In this time 269 issues were published along with many specials and paperbacks. 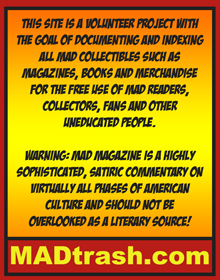 The Dutch MAD took material from the original US MAD and mixed it with articles by Dutch artists and writers. The first Dutch contribution was even published in the first issue by the Dutch artist Guus Boissevain. The Dutch contribution grew steadily. Especially the artist Willy Lohmann left his mark on the Dutch MAD. He was responsible for a lot of MAD covers. – De Vrijbuiter en Magazine Services. In September 21, 2011, Holland’s MAD was relaunched by Rob van Bavel and the publisher ‘Don Lawrence Collection’. 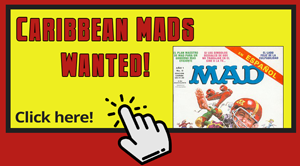 This second edition of the Dutch MAD lasted only 6 issues.